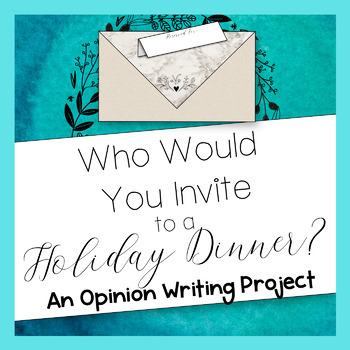 Opinion Writing Project: Who Would You Invite to Dinner? This opinion writing project is based on the age-old question: If you could have dinner with anyone in history, who would it be, and why? Many of us might have been presented with this prompt at some point in our educational careers, whether as a formal writing assignment or a simple icebreaker activity. The question is a wonderful opportunity to not only learn about what a person values and would like to know, but also how they are able to justify the person they chose with personal reasons and explanations. 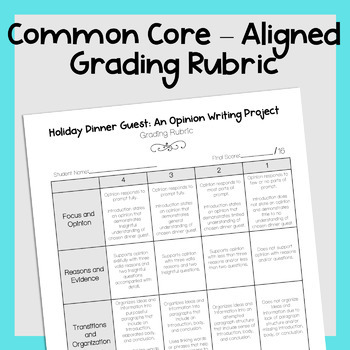 This 4-day writing project will allow your students to choose a person in which they have genuine interest and create an opinion essay that explains why they might want to have a dinner conversation with them. It is a wonderful project to implement during the holiday season, but can be completed at any time of the school year. 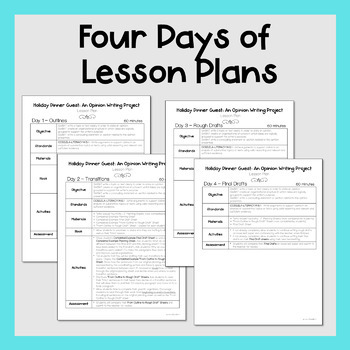 Complete lesson plans for each day are included as well as a final grading rubric aligned to Common Core Writing Standard 1. 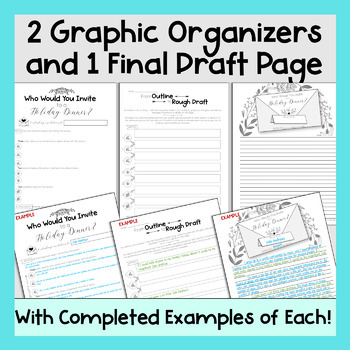 Complete examples of all materials are provided as well, but feel free to share your own opinions with the students, as they are sure to be interested in who their teacher might choose as their dinner guest. This is a great opportunity to discuss important historical, political, religious, and popular figures with your students. There is bound to be great discussion about the very idea of great discussion with our world’s most brilliant minds!